Shahar Florence, Strauss Group CFO for the past ten years, has been appointed Chief Growth and Innovation Officer, a member of Group management. 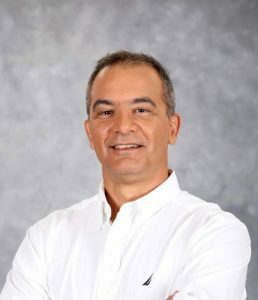 Ariel Chetrit, Strauss Israel CFO, has been appointed Strauss Group CFO and a member of Strauss Group management. Gur Zamir, Strauss Water CFO, will be replacing Ariel Chetrit as CFO of Strauss Israel. Giora Bardea said today: “The food and beverage industry has undergone rapid global changes in the past few years. We have chosen to establish a new, dedicated unit for growth and innovation in order to assure the development of capabilities and to enable us to make the necessary preparations in light of trends, needs and new business opportunities and bring them to commercial fruition. This includes solidifying and assimilating groundbreaking innovations and technologies at Strauss, cultivating and leading the world FoodTech community, strengthening the worlds of technology, including Alpha, the incubator and business development, accelerating digital transformation along the value chain, and identifying opportunities for future growth. The establishment of this unit will enable the Group to better leverage its existing assets in the spheres of innovation, entrepreneurship and technology, to make a quantum leap in the development of capabilities, to strengthen its home base and develop competitive advantages in the global arena that will enable growth in existing business areas as well as new ones in the future. Shahar Florence will manage the Group’s new innovation and growth unit and will continue to manage IT and business development in the Group. Florence, a resident of Shoham and married with three children, has served as the Group’s CFO since joining Strauss in 2008. 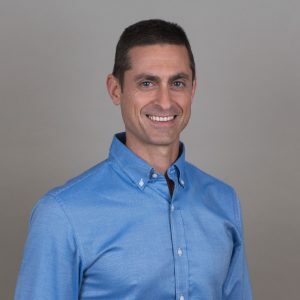 Mr. Florence has rich management experience and before joining Strauss Group, managed Starhome, which is engaged in solutions for international mobile carriers, after having served as the company’s CFO and previously, as CFO of Promedico and Lannet. During his term of office at Strauss Group, Mr. Florence led some of the most complex business processes in the Group, such as the buyback of Strauss’s complete ownership of Strauss Coffee from former partners TPG Capital; played a meaningful role in M&A processes in the coffee company, and also accomplished significant achievements in investor relations as well as in capital and debt raising, on a scale of over four billion shekels. During Mr. Florence’s term the Group solidified its financial strength while maintaining a high credit rating during turbulent periods in the capital market, cultivating the trust of the investor public, managing the debt level, improving the tax structure, sale and purchase of real estate assets and streamlining the Group’s capital structure and cash flows. In addition to serving as Group CFO, in the past few years Mr. Florence led The Kitchen FoodTech Hub to success, recruiting 12 startups and impressively positioning Strauss in the global FoodTech arena. He was also responsible for business development moves executed vis-à-vis Strauss’s business partners in the various companies and as a member of the board of directors of most of the Group’s companies. Mr. Chetrit, who lives in Modi’in, is married and father of two, joined Strauss Group as HQ controller and treasurer in 2008. In 2011 he was appointed CFO of Strauss Israel and played a leading, significant role in Strauss Israel’s impressive success in recent years. He was a key partner in leading and implementing strategic moves and business plans in Strauss Israel in the past eight years, led major investments in the business and devised and implemented the concept of gross profitability as a business foundation. He also drove Strauss Israel’s portfolio strategy and was a key partner in managing the challenges during the 2011 social justice protest in Israel and Strauss Israel’s preparations for the numerous, extensive regulatory processes that came in its wake, and in the initiation, leadership and implementation of SLTO processes throughout the years: lowering product prices, the nutrition strategy and the social program. Mr. Chetrit also led the productivity concept and the methodology for its realization, as well as numerous other initiatives and moves. 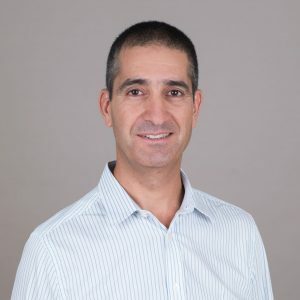 Mr. Zamir, who lives in Kfar Yehoshua, is married and father of three, joined Strauss Water, then Tami4, in 2006 as CFO and served in this position until 2009. In 2010 he was appointed CFO of Strauss Water and in this capacity, played a key role in the leadership of all business moves executed by Strauss Water in Israel, China and the UK. His accomplishments include the establishment of the joint venture with Haier in China (Haier Strauss Water), his involvement in the establishment of the Virgin Strauss Water joint venture with Virgin Group in England, his leadership of the team that negotiated the collective agreement with the workers’ representatives and the Histadrut General Federation of Labor in Israel, and his key role in improving Strauss Water’s financial performance, its rapid growth, strong cash flow and double-digit profits. The appointments are scheduled to take effect in April.